Sara & Seth were a couple we met almost a year ago to the date and Bride Sara was set on having a fairy tale theme wedding complete with a dress only fit for a princess! The wedding ceremony took place at the North Fort Worth Baptist Church, and the bride Sara had revealed to us that the most important moment for us to capture would be her entrance down the aisle and the reaction of her groom, we were pleasantly surprised to see the emotion the groom displayed as he saw his bride for the first time in her beautiful ball gown styled wedding dress. 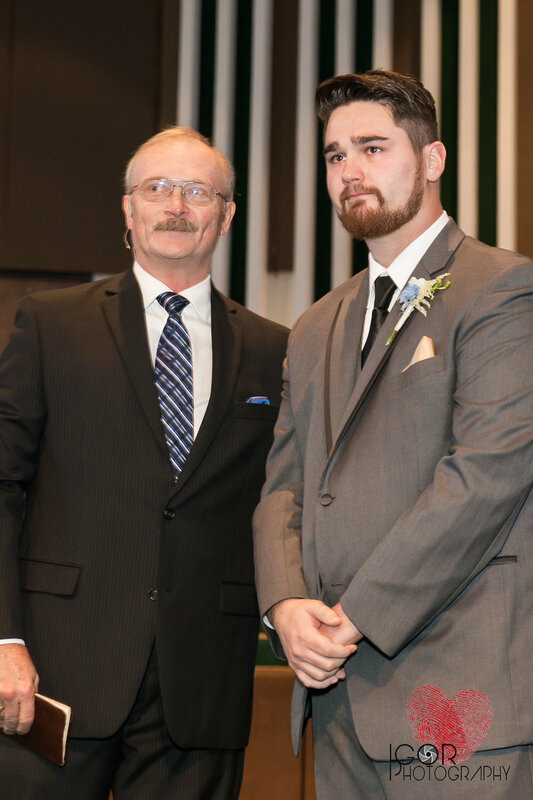 Of course the groom teared up and we loved catching those priceless moments! We have shot hundreds of weddings, and till this day we are never quite sure what to expect, but Sara was by far our giddiest bride! She smiled the entire time down the aisle and while exchanging her vows! She just couldn't contain her joy, it was awesome to see! After the ceremony we took the formal group shots while the rest of the party headed to the reception at the Radisson Hotel Fort Worth Fossil Creek. The reception was an intimate group of family and friends, we watched a slideshow of Sara & Seth growing up and their love for each other in pictures slide by! Sara wanted one last image of everyone who attended the wedding so we ended with a wedding party group shot! These are always fun to do and the couple always love to have a photo of everybody! It's fortunate for us to have met such a lovely couple who now have become not only lifelong clients but dear friends as well. 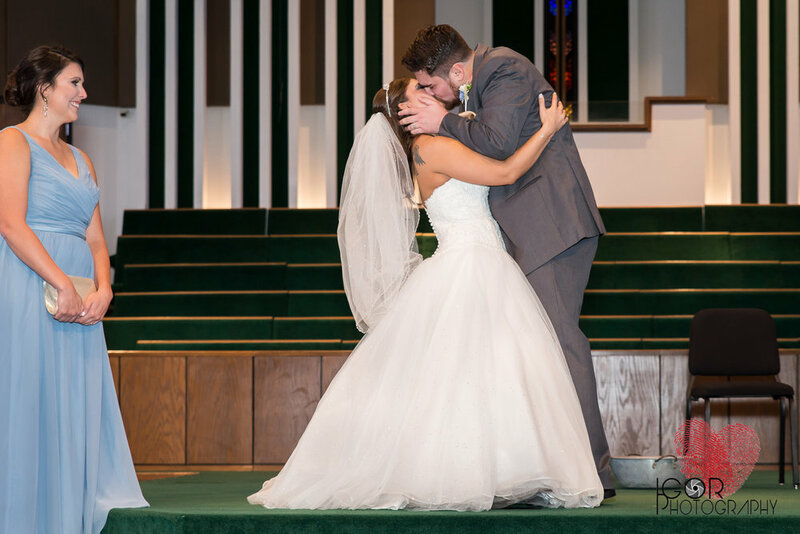 Let us capture your fairy tale beginning! Contact us today to schedule a free consultation! I have never shot at the W Hotel before, but while driving in Dallas I had passed this hotel with it's vertical high rising structure and funky, urban features many times before. This hotel is any photographers dream, or anyone who appreciates cool features like mirrored walls, modern furniture and vibrant up-lighting. This was the perfect location for our fine art bridal sessions! Our gorgeous bride Julie, featured here had a stunning dress that we really wanted to do justice, as well as capture all of the neat features that W hotel has to provide. The W hotel has a stairwell, that gives a small ode to Texas with a toy horse & cowboy curtain framing the window in which we got some brilliant natural light. While waiting for the sunset, we took advantage of the light outside and placed our bride in these cool swinging wicker chairs on W hotel patio area, to capture her natural beauty as well as some detail shots, such as her beautiful shoes. As the sun started to lower in the sky, we decided too take a ride in the elevator to a level they called 'Altitude' once reaching the floor, I understood why, we were at least 30 stories high and the wind was howling. Greeted with cloud covered walls, we moved outside to see a blue infinity pool. 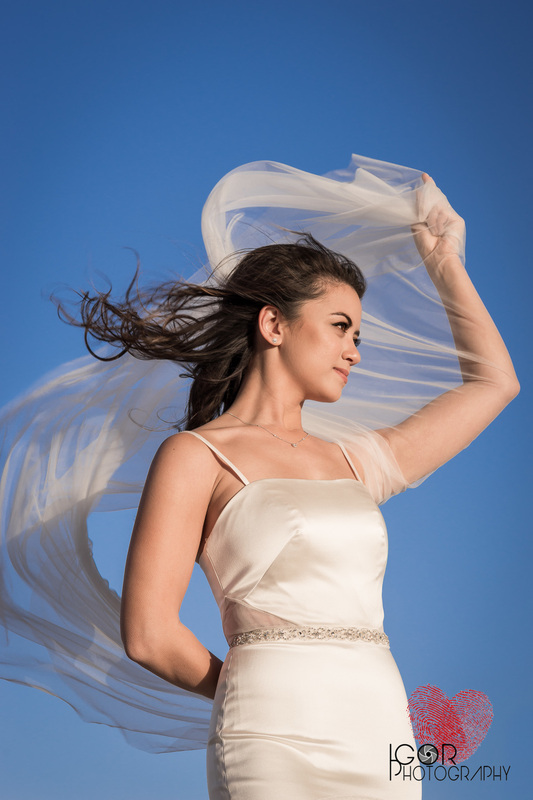 The winds were probably at their highest this day but Igor Wedding Photography sought this only as a creative challenge, to produce some true Fine Art Images. Our Bride Julie, mentioned the 33rd floor. We once again got on the elevator, after arriving on the 33rd floor, Julie relayed that this is where she was having her wedding reception. The walls are textured metallic mirrors, and is like a swanky, luxurious club, but the real standout of this room is when you transition to outside, with amazing panoramic views of downtown Dallas. 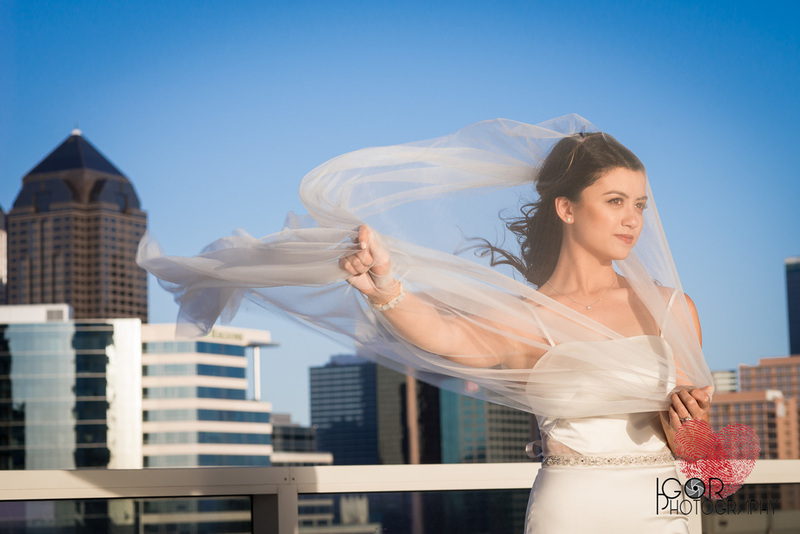 We choose this area to give our Bride Julie some stunning Bridal Imagery of her dress and encapsulate the scenery of downtown Dallas. As we were leaving and saying our farewells, the Photographer in me never stops my eyes from wondering to top what I just created, after seeing that I was surrounded by floor to ceiling mirrors, I asked my bride to just look at herself & admire her own beauty in the ceiling mirrors, to create a last look to wrap up this session. W Hotel bridal photographer in Dallas. 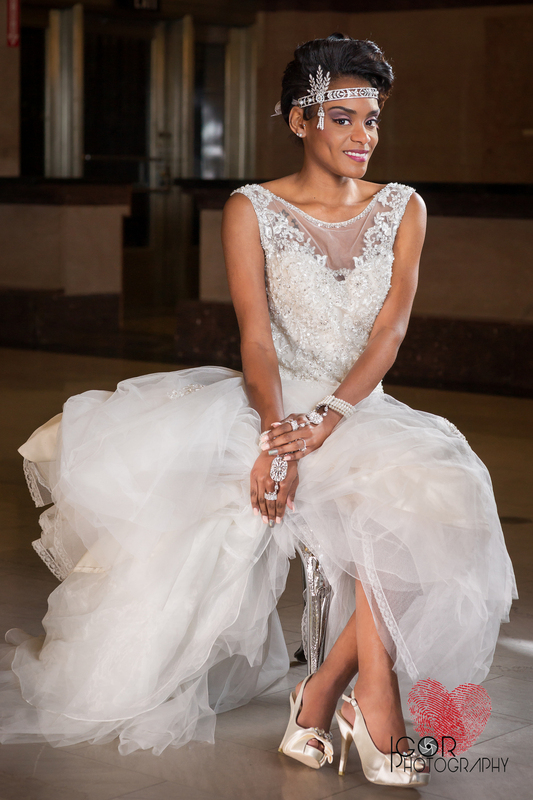 Artistic bride photography in downtown dallas. If you would like to experience Igor Wedding Photography, and create one of a kind Fine Art Photos, please contact us right now to book your Bridal ,Engagement, Boudoir or Wedding photography today. Looking for the perfect modern location for your Engagement or Bridal portrait session? Be inspired by the Fort Worth Water Gardens, an unique urban park and fee free location with a variety of photo backdrops to choose from. Featured here is our beautiful bride to be Danielle, the elegance of her bridal gown was able to be showcased with the simple backgrounds of the Fort Worth Gardens - at the quiet, "blue meditation pool" that is encircled with cypress trees and towering walls and at the "aerating pool" that features multiple illuminated spray fountains under a canopy of large oak trees, and because at Igor Wedding Photography we love to incorporate modern lines and beautiful architecture as well, the pools, concrete walls and the vertical depth of the stairs added a dramatic, yet modern flair to her bridal photos. We would love to talk to you about any ideas , locations or any questions you may have, The limit is never to far, we like to be pushed outside the box of creativity. Contact us soon about your upcoming bridal portraits, engagement session or wedding, let's make something special together. Since I love the 1920's style and Art Deco architecture, it was a real joy to photograph a Great Gatsby inspired bridal shoot for the Pence & Panache bridal boutique. 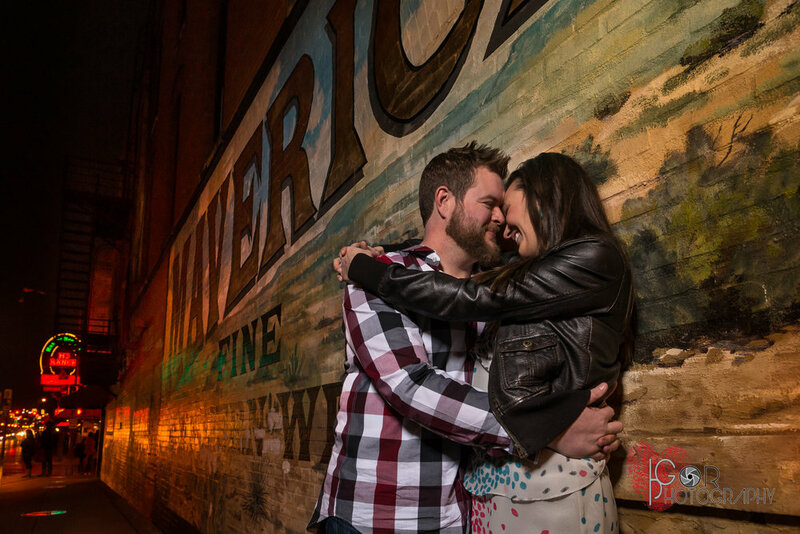 The T&P train station in downtown Fort Worth was a perfect setting for this photo shoot. The architecture is stunning and made a great backdrop for the beautiful brides with amazing Great Gatsby inspires dresses and accessories. All weddings that incorporate Art Deco styling and Great Gatsby bridal and wedding photography have always been one of my absolute favorites themes to photograph, it's visually stunning with rich colors, patterns and details. A wedding photographers dream! 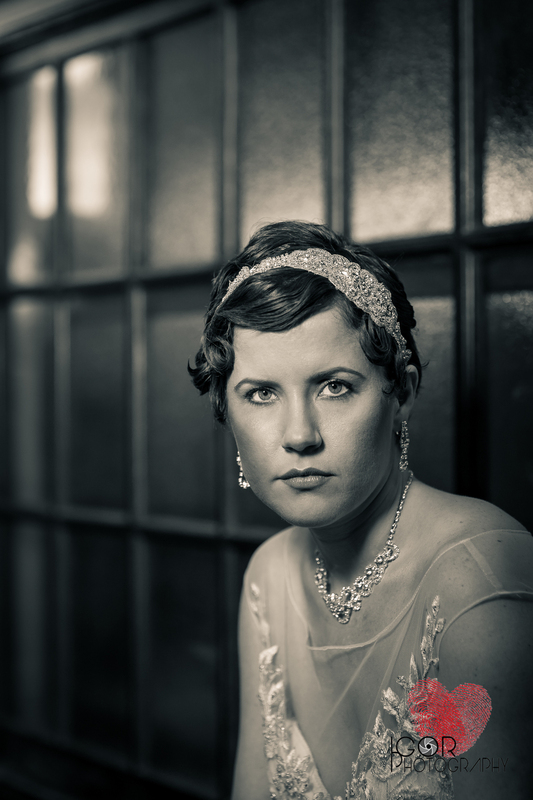 The glamorous 1920's brides lived in an era where music was made for dancing, the champagne was flowing and the fabulous wedding dresses and jewelry took a leap into the future. The elegance and glitz was at it's peak and people did not spare any money into making grand events and weddings. The whole area seemed to be a big extravagant party, an epoch of fantasies that has made a huge mark on today's fashion, furniture and architecture. Enjoy these two beautiful Art Deco brides at the historic T&P station, we had a great time Photographing Izzy and Tayana. Let us know what you think about this styled shoot? My most recent engagement photography session was at the beautiful Fort Worth Botanic Garden and at the Japanese Garden, on a marvelous winter day. This was a perfect day and photo location for Alex and Jason's Fort Worth engagement session. Their love and joy was intense, and plenty of kisses where frozen in time, it was a blast capturing it frame by frame. I have photographed more engagement sessions at the Fort Worth Botanic Garden than my brain can remember, but this location still remains fresh for me and every session I do there still has a new look and feel. There are so many areas within the gardens that have all different looks and that are perfect for engagement photography during all the months of the year. If you are planning an engagement photography session in the DFW area, you should definitely consider the variety of the Fort Worth Botanical Garden and the smaller and very lush Japanese Garden for your engagement photos. On 12-13-14 I got to capture Valerie and Stephen's beautiful winter wedding at the historic YWCA building in Fort Worth. A fantastic wedding to remember for everybody involved. Here you can see a selection of photos from both the preparation, wedding details, ceremony and the fun reception. Enjoy! I always love to shoot bridal sessions and weddings at the Fort Worth YWCA. It's such a beautiful classic venue in downtown Fort Worth. I will be posting wedding photos from Valerie's and Stephen's wedding at the YWCA very soon. 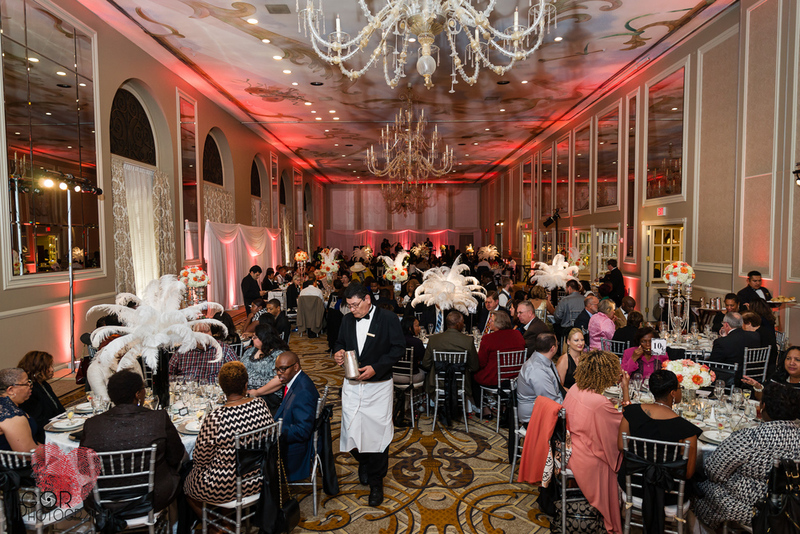 The wedding of Alice and Cedric was at the historic landmark Hotel Adolphus in downtown Dallas. It was a beautifully decorated wedding, very classy and classic. The wedding venue Hotel Adolphus, was a perfect match for the perfect match that the bride and groom are. It was a terrific day of joy and celebration and we got some super great photos from their wedding day.